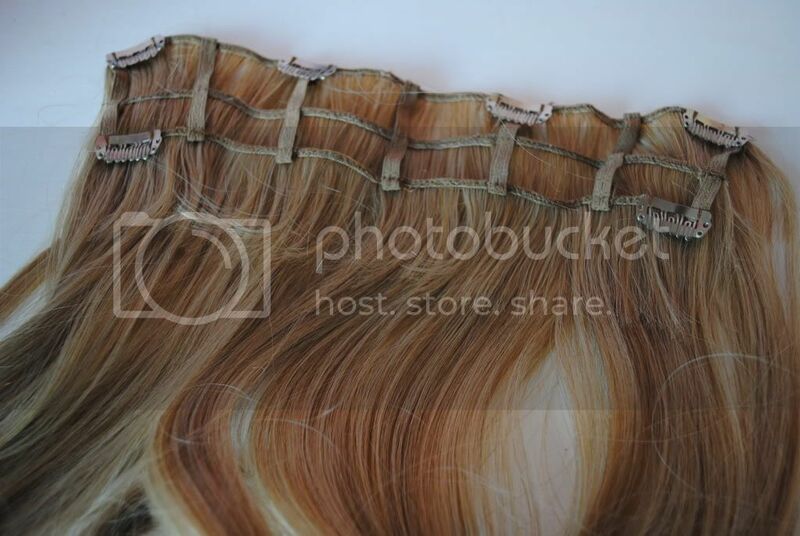 If you're anything like me, you'll have been lusting after Rapunzel-esque tresses for what seems like forever. My hair grows quickly, but it's not in the best condition, and therefore it never really seems to reach past a certain length until it starts breaking off. I know, I know, I should have regular trims, blah blah blah, but I have a bit of an issue with people cutting my hair as it always looks too short afterwards (and I have had FAR too many short hair cut disasters). 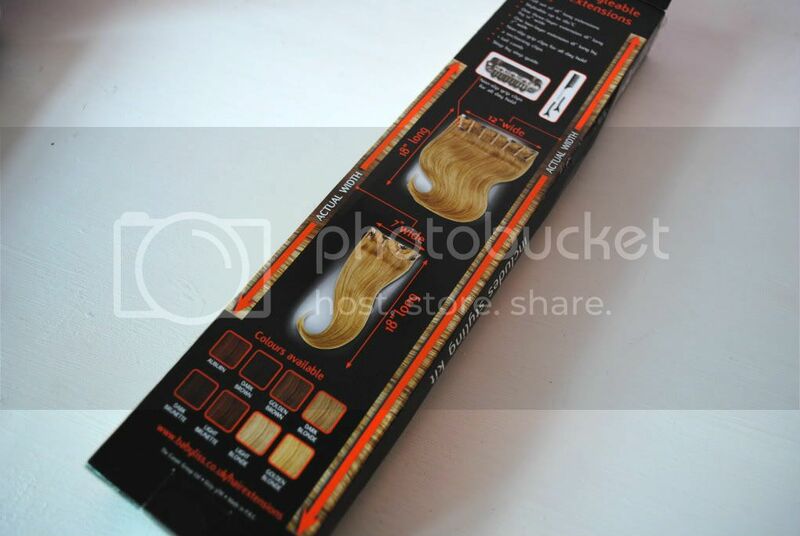 Therefore, it kind of goes without saying I'm always on the hunt for some hair extensions. > I reviewed the Salon Confidential extensions a while back, and although I still really like them, they're not heat-proof and therefore I'm stuck with having to keep them in the same style. I generally like to curl my hair and add volume, so when I went on the search for some extensions, I knew they had to be styleable. Me being me, I refuse to go anywhere near real hair extensions (both because I think it's unethical AND I have this big thing about another person's hair on my head - I mean - gross right?) therefore it was pretty tricky trying to track some heat-proof SYNTHETIC extensions down. 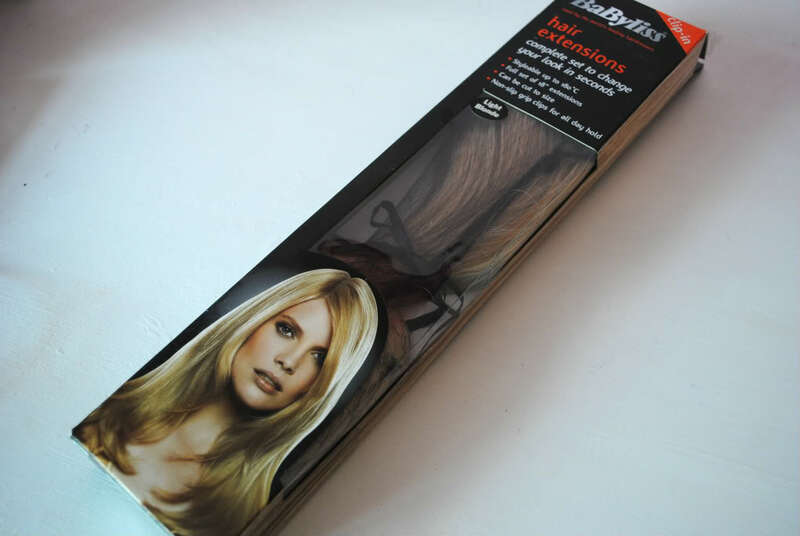 I did, however, stumble across the Babyliss Styleable Hair Extensions on the Boots website, and after reading through a few reviews I decided to go for it. They arrived in the post and I was suitably impressed with what I got. 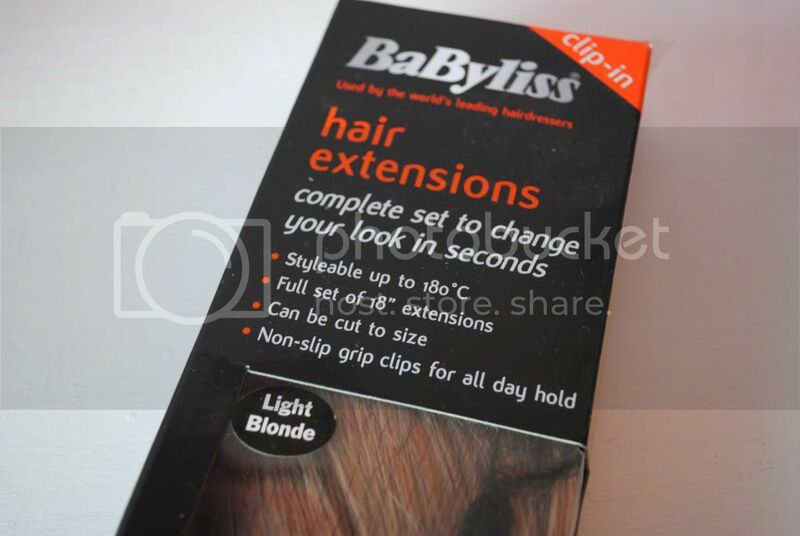 For just over £30 you get one big three-layer extension and one smaller two-layer extension, as well as sectioning clips and a comb. The extensions feel really shiny and soft to the touch and the colour (light blonde) matched my blonde highlighted hair perfectly. They were really easy to put in and instantly added so much volume and length - I was impressed! When it came to styling, I used my straighteners to curl them, not exceeding the maximum 180 degree heat that these babies can take. I think I set my straighteners to about 120 degrees. I found the extensions a little difficult to curl, but with some perseverance I managed to create some loose, pretty curls, which stayed in the majority of the night. The hair extensions themselves stayed put really well, and I was really impressed with how much length and volume they gave my hair. These hair extensions cannot take heat. As much as it says they are 'styleable'... they just don't cut it. After two, perhaps even one, use, the previously sleek, soft and shiny extensions have turned into a mess of dried up, static Barbie-hair (I'm not talking pretty here girls, I'm talking plastic). They are really difficult to brush, and strands of hair fall out like crazy. What were previously difficult to curl are now near impossible, and to be perfectly honest they resembled rat's tails more than anything else. Don't get me wrong - they look brilliant the first few times you use them - but with each use they become less shiny, and more and more dry and static. 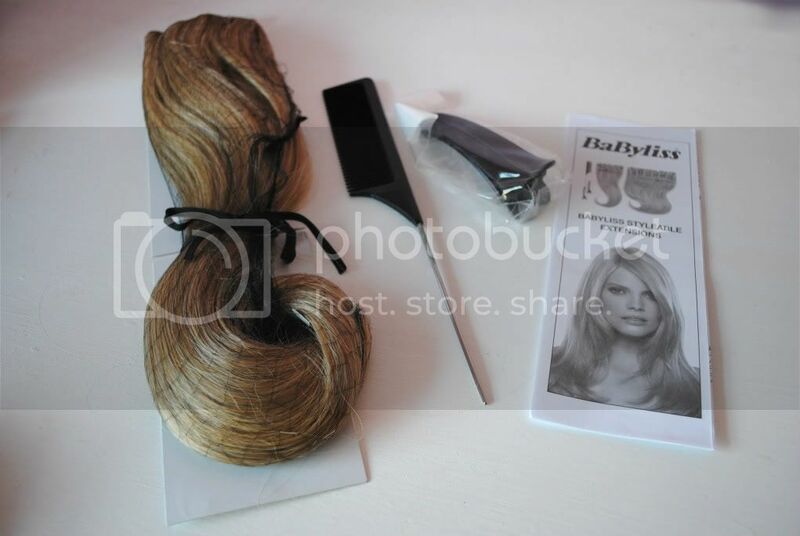 I was so disappointed - I had such high hopes for these hair extensions and I feel really let down. I followed the instructions and didn't exceed the heat - yet they still failed me. Okay, so if you don't style them, I'm sure they stay perfectly soft and shiny - but considering the selling point of these is that they're synthetic AND styleable - kind of defeats the purpose of why I bought them. Yes, they are cheap as far as hair extensions go - but considering they lasted me 3 nights out tops, they turn pretty expensive per wear! 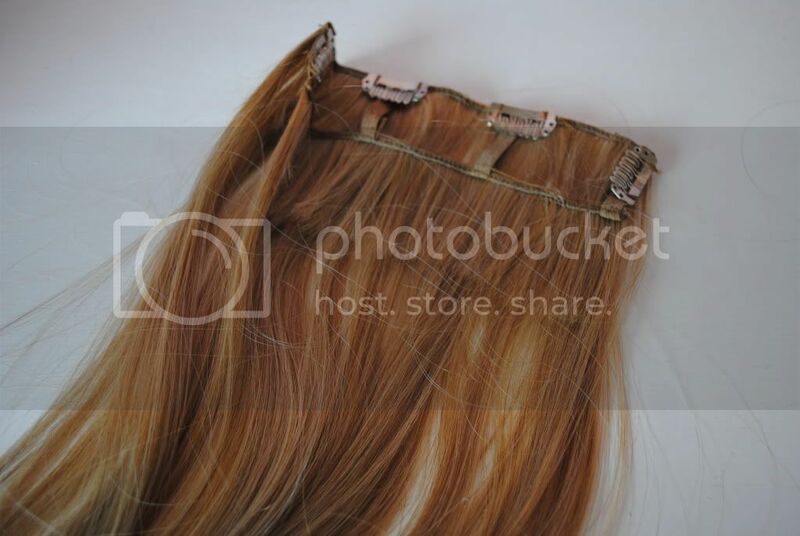 Overall, I wouldn't recommend these extensions. They just can't do what they're supposed to. 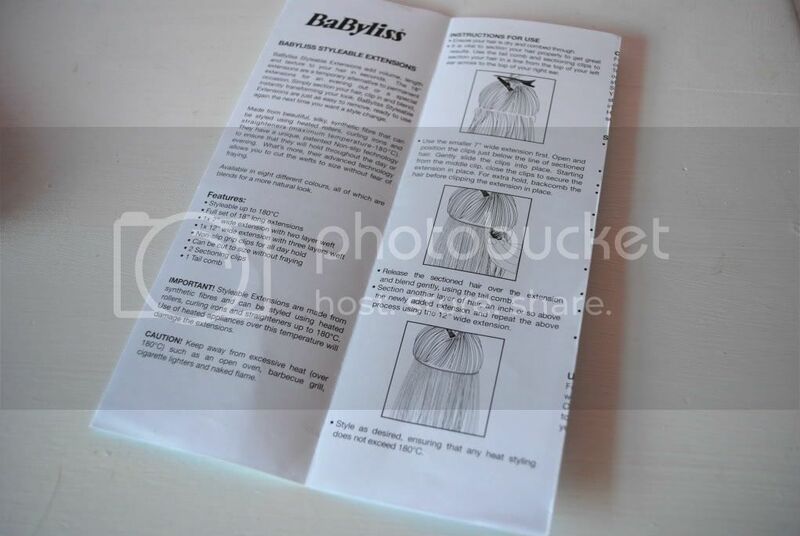 Sorry Babyliss, but you let me down this time!